Salman Khan is sharing posters one after the other from his next film ‘Bharat’. The superstar shared the old man look yesterday and it took social media by storm. Now, Salman is here to take the internet by storm again as his new look as a young circus artiste makes him stand out from the rest. If you remember yesterday’s poster, it had Salman’s look from 2010 and this one promises to be his look from 1964. In the poster, you can see a lot of circus stunts going around, and from what we can gauge, it seems that Salman is going to perform the ‘Maut Ka Kuan’ stunt. Daredevilry at its best! On the work front, Salman is busy with the shoot of ‘Dabangg 3’ these days. Once he is done with that, he will go ahead to begin work on ‘Inshallah’ with Alia Bhatt and Sanjay Leela Bhansali. Post that, he will get busy with the much talked about ‘Veteran’ remake. Apart from Salman and Disha, ‘Bharat’ also stars Jackie Shroff, Katrina Kaif, Sunil Grover, Nora Fatehi, Sonali Kulkarni, Tabu, Aasif Sheikh and many others. The trailer of the film is set to be released on April 24. 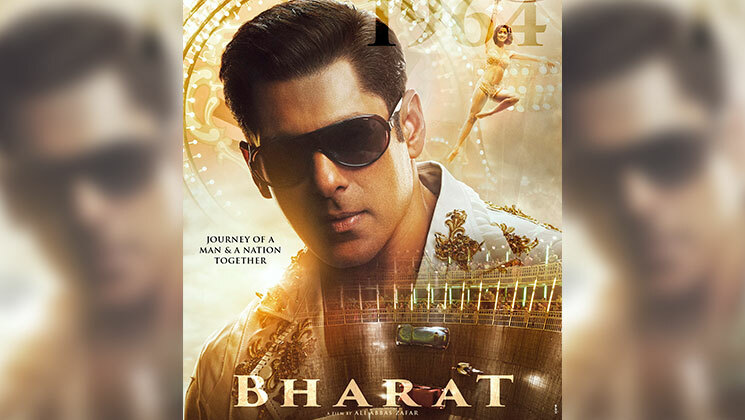 Directed by Ali Abbas Zafar, ‘Bharat’ is set to release this Eid.